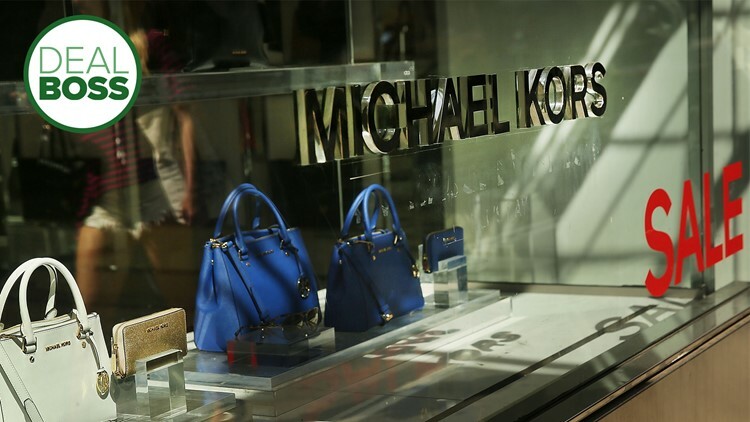 A Michael Kors store is viewed in Soho on May 27, 2015 in New York City. Deals and sales on Uggs, North Face, Michael Kors and more. I always feel awkward typing "MLK Jr." and "deals" or "sales" in the same sentence. It's the same hesitance I experience when there are Memorial Day sales and I have to shift focus from the true and important meaning of the occasion to shopping. At the end of the day though, as tacky as commercialism and consumerism can get, my job is to save you money and long weekends are a prime time. Why do we see so many deals on Martin Luther King Jr. Day? It all comes down to timing. As far as retailers are concerned — and despite what the weather may suggest — winter is almost over. Boots, coats and other crucial pieces of weather gear that were on sale in December enter their clearance phase during this long weekend. After this long weekend, stores prepare for Valentine's Day sales, and then it's DIY deals for the spring home improvement season. Before we get to the big deals, what purchases should you avoid? Weighted blankets, luxury pillows, cookware and spa-related items are much better deals as we approach Valentine's Day and I'll have those deals for you very soon.